QRUZ is a mobile payment technology company and the developer of the patented QRUZ Payment Platform. QRUZpay utilizes QR IDs to initiate payment transactions from any point of sale. QRUZ transactions are authorized by the consumer prior to payment via your mobile app or other wallet using their secure PIN. 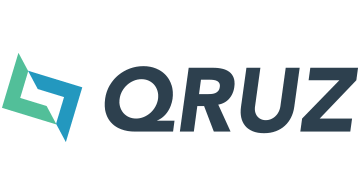 QRUZpay QR IDs are easily deployed and no hardware changes or upgrades are needed at the POS, whether that is a physical terminal or an e-commerce website. QRUZ also supports cash withdrawals from ATM’s without an ATM card using our QR IDs. The QRUZpay API easily integrates with any POS, terminal, mobile app, or e-wallet for fast, seamless transactions. Drop by Booth #535 to learn more about QRUZ and our Zero Breach Risk QRUZ Payment Solution.